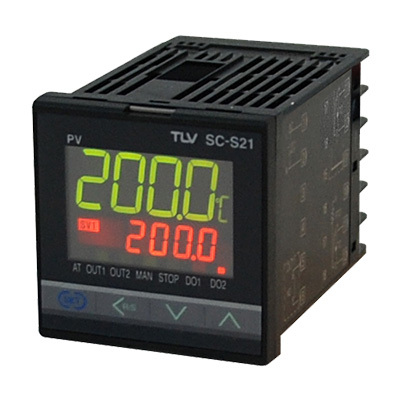 Compact controller specialized for temperature control. Measurement input by thermocouple or resistance temperature detector (RTD) (specify when placing order). Operation is simple with auto-tuning function. Control of motorized valves, pneumatic valves and solenoid valves. Confirm value of measurement input.